Games encourage literacy. Tell everyone! Want a free 18 page storybook by the guy who wrote Child of Light, Jeffrey Yohalem? The fully-illustrated fairytale ties into last year's creative RPG and picks up a few years after the game ends. It's being released as a gift to the fans, says creative director Patrick Plourde, which just goes to show that posting cosplay pictures and fan art can make good things happen! The sidescrolling RPG from Ubisoft Montreal is more than just those words you just read at the beginning of this sentence. 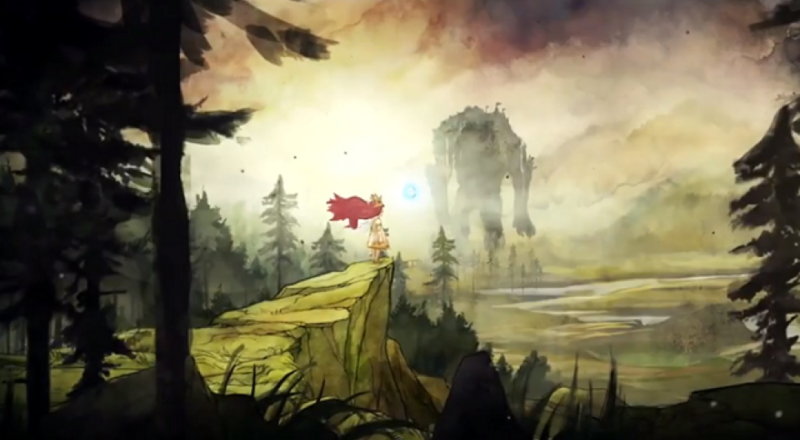 Child of Light takes aim at interactive art and pushes story, setting and visuals every chance it gets. A mesmerizing experience, as just about everyone who has played it will attest to. Co-op is part of that experience, too, though it's a bit minimal in terms of overall challenge. Our Child of Light co-op review spills all the details. Grab the free 18 page storybook (PDF) to check in on Reginald, son of Robert, to see how he meets his adventuresome ally Roberta.